Milla, a 4 year old spayed female Cane Corso Mastiff Labrador Mix is available for adoption! click here to see gorgeous MILLA in action! Mattie, a sturdy 3 year old female Tortie is available for adoption! A true purr machine! Loves people! Thank you to the Lebanon Daily News for creating this weekly feature! click here to see and hear Mattie in action! Gizmo has been adopted! Let’s find Zeus his furrever home! Gizmo and Zeus are both 7 year old neutered male American Pitbull Terriers! These brothers are available for adoption, together or separately! They have energy and love to run in our play yard, but after that snuggles and belly rubs are an absolute must! These fellas are very people and treat motivated! Staff and volunteers have created a fun little video featuring these handsome hunks! See link below! click here to see Gizmo and Zeus in action! click here for details on our adoption process! Hot Dogs and Baked Goods! Join us! Bring the family! Plus all cats 1 year of age or older will be available for $10 each! All adoption requirements apply! Find your new best friend and save a life! Opt to adopt! Adoption Event! May 7 – 14! Help us Celebrate Be Kind to Animals Week! All adoption requirements apply so fill out your application early to be approved! All adopters will be entered to win one of several raffle baskets automatically! Find your new best friend and save a life — opt to adopt! Saturday, May 13 from 11 am to 2 pm! join us for hotdogs on the grill and baked goods! click here to print our application for adoption! click here to see our adoptable animals! Colony Cats! Pets of the Week! Did you hear?? Our colony cats are the Lebanon Daily News Pets of the Week! Our colony cats enjoy living with other cats. Details on our colony cats may be found by clicking here or by simply stopping in our shelter anytime during open business hours! Tuesday through Sunday, 10 am to 4:30 pm, Wednesday 10 am to 6:30 pm! click here to see our colony cats in action! Rebel and Miss Kitty Boo! Pets of the Week! 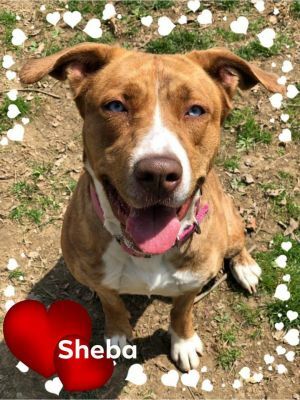 Rebel, a 1 year old female American Pit Bull Terrier Mix and Miss Kitty Boo, a 3 year old spayed female Calico are the Lebanon Daily News Pets of the Week! Both are available for adoption! Thank you Lebanon Daily News for creating this weekly feature! click here to see Rebel and Miss KB in action! This is a full-time position. You may be asked to work days, evenings or weekends, flexibility a must. To provide excellent customer service to members of the community who utilize the programs and services of the Humane Society of Lebanon County. To provide well organized clerical support to ensure efficient daily operation of the shelter. For a full job description or to apply please send resume to lcsheltermanager@gmail.com or stop in the shelter during open business hours to complete an Application for Employment or click here to download one no later than May 5, 2017. Wednesday 10 am to 6:30 pm. Gizmo and Zeus! Available for adoption! Gizmo and Zeus, two 7 year old neutered male American Pit Bull Terrier brothers are the Lebanon Daily News Pets of the Week! These fellas do not need to be adopted together! click here to see handsome hunks Gizmo and Zeus in action! click here for more details on Gizmo and Zeus! or better yet, simply stop in our shelter to meet them! enjoy some belly rubbin’ cuddlin’ in our spacious yard with one of these fellas! Thank you to volunteers, golfers and sponsors for a successful event! See you next year on the course! Sixth Annual Critter Classic Golf Tournament! Prizes for top teams! Snacks and drinks all day! Longest drive holes! Door prizes for everyone! Closest to the pin hole! Men, Women and Senior holes! Click here to print our registration flyer. Please send completed registration flyer and payment to Humane Society of Lebanon County, 150 N. Ramona Road, Myerstown, PA 17067. Please make checks payable to Humane Society of Lebanon County.